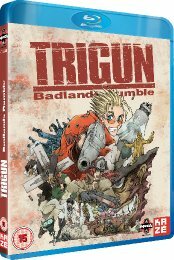 In town surrounded by quicksand, an outlaw from Vash the Stampede's past has resurfaced after twenty years. His name is Gasback - and he's looking to cause a little trouble. It seems Gasback has a serious beef with the town's mayor, who's paying dozens of bounty hunters to protect his turf.